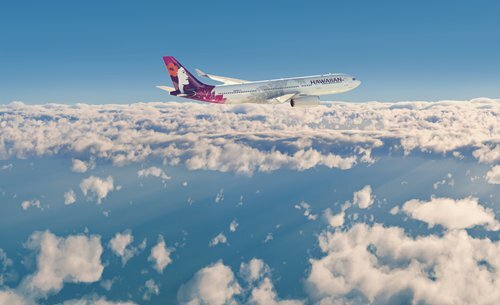 With its very first scheduled flight commencing on November 11, 1929, Hawaiian Airlines, Hawaii's flagship carrier, has just celebrated its 88th anniversary. The airline has also been operating in China for more than three years, ever since it started business in the country in April 2014. After launching its non-stop, thrice-weekly Airbus A330 service between Honolulu and Beijing, the company has said that the number of Chinese visitors has continued to grow at a healthy pace, with more than 150,000 passengers traveling on over 900 flights to date. Hawaiian provides approximately 170 flights daily to and from the Hawaiian Islands and a total of more than 250 daily flights system-wide. Unlike larger airlines with hundreds of planes, Hawaiian's fleet size is relatively small, but the company has big plans to expand its range of localization services to cater to Chinese customers. In May this year, the airline introduced lie-flat seats and increased the number of Extra Comfort premium economy seats on flights to and from China, part of its drive to provide better customer service. And the company won the title of the World's Most Punctual Airline by air travel intelligence company OAG in 2016, with the airline also leading all US carriers regarding on-time performances for each of the past 13 years from 2004, as reported by the US Department of Transportation. "China is a very important market for our company," Li Wei, head of Hawaiian Airlines China, said in a recent exclusive interview with the Global Times. In terms of the number of travelers from Asian countries to Hawaii, China is still lagging behind those traveling from South Korea and Japan, but the Chinese market nevertheless has huge market growth potential. As the Sino-US aviation market continues to boom, the growing trend of Chinese tourists flocking to the Aloha State has been linked to China's burgeoning middle-class population, as well as the rising strength in transport capacity between China and the US, Li said. "More and more young travelers from China are choosing to go on in-depth, high-quality tours [to Hawaii]. They like to spend more days and enjoy the scenery on different islands, which is quite different from the past," Li said. When asked if the carrier plans on moving to the soon-to-be-opened airport in southern Beijing, Li said: "No, we are staying at Beijing Capital International Airport, according to the current published plan by CAAC." But Hawaiian Airlines is not the only airline conducting flights between China and Hawaii. Currently, both Air China and China Eastern Airlines operate flights to the US state. Hawaiian Airlines also has a code-sharing agreement with Air China. 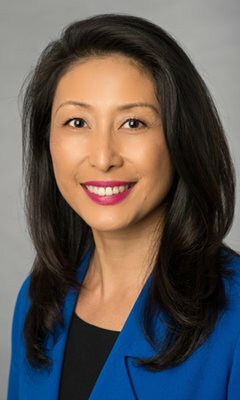 "The biggest challenge for us is destination awareness," Li said, explaining that Chinese tourists were once not as accustomed to traveling to Hawaii as South Korean or Japanese tourists were, despite the fact that the flight time to Hawaii from China is almost the same as other popular island destinations like Bali, Indonesia. "Japanese tourists have known about Hawaii for dozens of years and we have also been operating flights to South Korea for six years, whereas we have only been flying to China for three years," Li said. "It is just the beginning of the journey," noted Li. Besides destination awareness, Li noted the company is actively lobbying the US government to make it easier for Chinese visitors to obtain visas. GT: What do you think of the rising competition in the airlines market? Li: The growing trend in North America has given us more room. Each airline should think about how to make their company stand out more among the competition. We are competing with big players 10 or even 20 times our size, so we should make our strategies more tailor-made to target this market. GT: Could you elaborate more on your target market? Li: Our main clientele increasingly tends to be value-sensitive rather than price-sensitive. What we are doing is making each penny they spend count, such as including a neighbor island roundtrip free of charge in their international ticket with us. We also allow our international flight passengers to check in 2 pieces of luggage for their entire trip with Hawaiian Airlines. Word of mouth and social media have been a big help in getting the information to our target audience. GT: Are there any plans to expand your network in China? Li: The Chinese market is very important to our global map and we are thinking about whether to change three flights per week to daily [from Beijing], or to explore more possibilities in other cities. GT: What do you think of the work report from the 19th National Congress of the Communist Party of China concerning the aviation industry? Li: The airlines industry will definitely get busier, as the relationship between China and the US gets closer…the future is very promising. With the rising middle-class in China, Hawaii is awaiting more travelers to explore the wide variety of fantastic experiences it has to offer.